How long does it take for money to arrive into my Squirrel account? 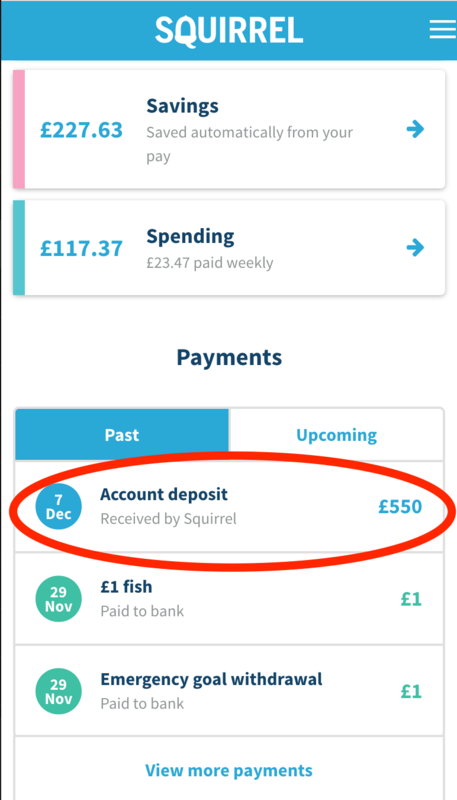 Money can be transferred into your Squirrel account in 2 ways. The first is from your own bank account (normally using faster payments). It could take up to 4 hours for it to arrive in your Squirrel account. Money paid in by your employer or for benefits, is normally made using the normal bank payment system (called BACS). These get loaded each morning and can take up to 11AM to arrive in your Squirrel account. Once it arrives you'll see it in your payments section of the home page and you should get an email/ notification that the money is there. If it's more than 4 hours since you transferred money in, or it's after 11AM on payday and you can't see it on your account then get in touch.